12 Showcases of Intellectual Commercial Service Application – Harvesting Taiwan’s Soft Power In order to discover and help the new talents in entrepreneurship, Department of Commerce, Ministry of Economic Affairs introduces the Asia Silicon Valley Intellectual Commercial Service Application Project that offers the training for selected 12 groups. The showcase will demonstrate how the new talent with the help from the government shapes new environment for innovation service industry. Yiyuan started by a digital marketing team for the customers' requirement of O2O service, we entered DOOH market with PD-space, we believe our abundant online marketing experience will enhance the effect of the outdoor ad. InforCharge is the first IoT company in the World which committed to integrate wireless charging and media service. We provide the most simple and convenient wireless charging solution, build a large number of wireless charging locations, and develop users' charging habits. Our goal is to integrate the value of digital cloud application, and build a complete wireless charging ecosystem. 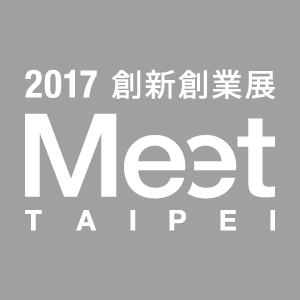 Taiwan is just the starting point, we are aiming at becoming a global representative brand of wireless charging solution. 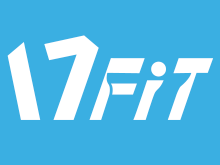 Tiger, founder of 17FIT is a fitness lover who was over 100KG when he was a graduate student. After he lost his weight, he gathered his graduate school classmates of NTU and devoted themselves to wellness industry. Now, Tiger and his team are creating technological tools and ecosystem for wellness studio owners and expecting to flip the industry. Direct Current Co.Ltd is a e-commerce company. We co-operate with many famous souvenir shop in Taiwan. We focused on cross-border e-commerce business in Asia now. 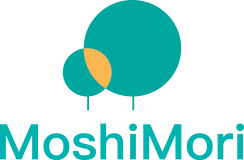 MoshiMori utilize cloud computing technology to integrate and manage business flow of omnichannel retailing. Along with online-to-offline (O2O) commerce into MoshiMori Retail Backend as a Service (RBaaS), including Responsive Web Design e-commerce website and ERP/CRM/POS. As a platform, we also offer diverse applications such as online customer service to help retailers provide seamless blending of the digital and brick-and-mortar experiences. FinData Finance Technology Corp. is an investee of Chung-hsin Electric & Machinery Mfg. Corp. FinData tends to integrate the Automotive Aftermarket to develop the O2O Ecommerce with on-line payment and off -line Automotive service based on the concept of internet plus. We aim to be the platform for the brands of all parking lots and the automotive service. To achieve the business target, we provide a smart parking solution, the iParking APP, to enhance the parking experience for drivers. We keep expending our cooperated parking lots and integrating value-added services with cross-industry partners to drivers. We are visionary, discovered the private car data to sharpen our view of solving parking problems. We are protector, by using our product ULOCK, guarding your car park and stay alert while you’re going out. Then you don’t need to worry about unexpected occupation anymore. We are helper, helping drivers to find the nearest car park and pay the parking fee easily, matching up the available car park fast in hot spots area. we are creator, not just creating more parking spaces in the crowded cities but generate the extra income for the car park owner. We are USPACE, brought to life by USPACE tech team. GliaCloud is a technology company empowering every individual to use and enjoy Artificial Intelligence and Big Data in their daily lives. Founded in 2015, our team has a solid technology background as demonstrated by international awards we have won in events such as the Evernote Hackathon, Google Cloud Developer Challenge, and Baidu Hackathon. GliaCloud team is also recognized as Google Cloud Technology Partner. IIOT is devoted to providing turn-key O2O solution for retails, restaurant, hotels and shopping malls. Our solution empowers venue owners to design marketing campiagn on top of WiFiOTG service platform, which not only manage devices easily but also help understand customer insight. Asta have devoted to promote 360° VR/AR image, let everyone can enjoy the real world object experience in the virtual cyberspace. Ubitech. Co., Ltd. found in 2013. QLiEER iPad POS is the main product. We make POS system quick ,simple, and clear. The interface is simplified as much as possible for cashiers to get familiar with it in order to reach high-efficiency. Besides, QLiEER is different from traditional POS system. The instant report in your personal backend, which helps to manage your business.